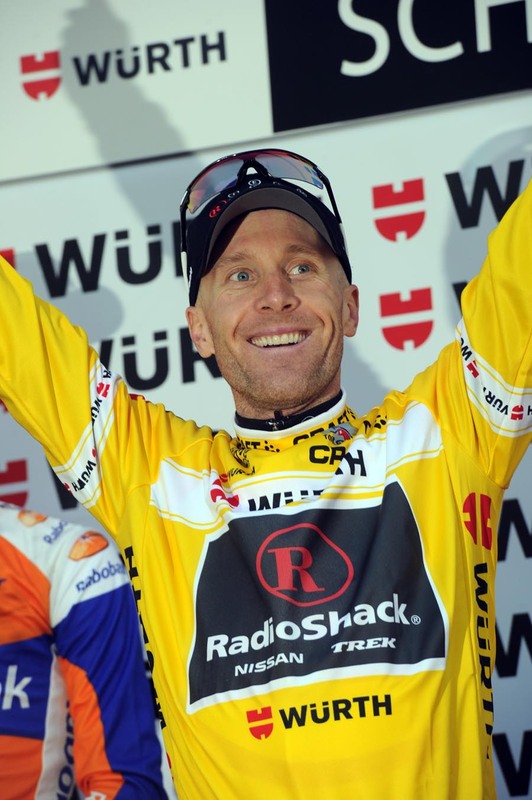 American Levi Leipheimer (Radioshack) won the 2011 Tour de Suisse on Sunday, beating Damiano Cunego (Lampre-ISD) by just four seconds overall and relieving him of the leader’s jersey in a last-minute upset. Cunego will have been left bitterly disappointed to have lost the jersey to Leipheimer in the final time trial, having successfully taken and then defended the race lead through the race’s high mountains. The Italian started the day with a one minute and 59 second lead over Leipheimer, in fourth spot, in the general classification. The American used his superior ability against the clock to wipe out the deficit and take another major win – at the age of 37. Cunego paid the price for his hard work during the previous few days, and could only manage 39th place on the stage, some two minutes and 16 seconds behind stage winner Fabian Cancellara (Leopard-Trek). Dutchman Steven Kruijswijk (Rabobank) slipped from second to third overall to round out the final podium. World time trial champion Cancellara finished the race as he started – with a stage win. 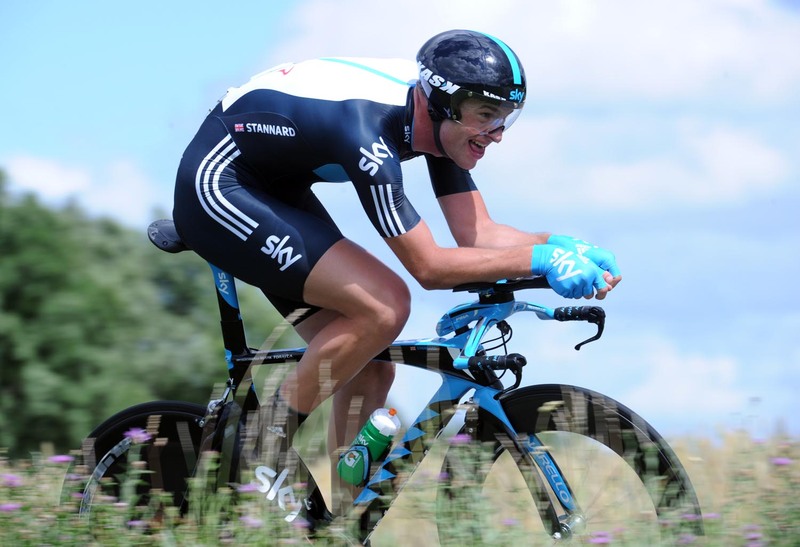 Having claimed victory in stage one’s opening time trial, he cruised around the final 32.1km route in 41-01 to win. Cancellara’s victories will have been some consolation to the Leopard-Trek squad, as its Tour de France hopes Andy and Frank Schleck delivered very mixed performances. 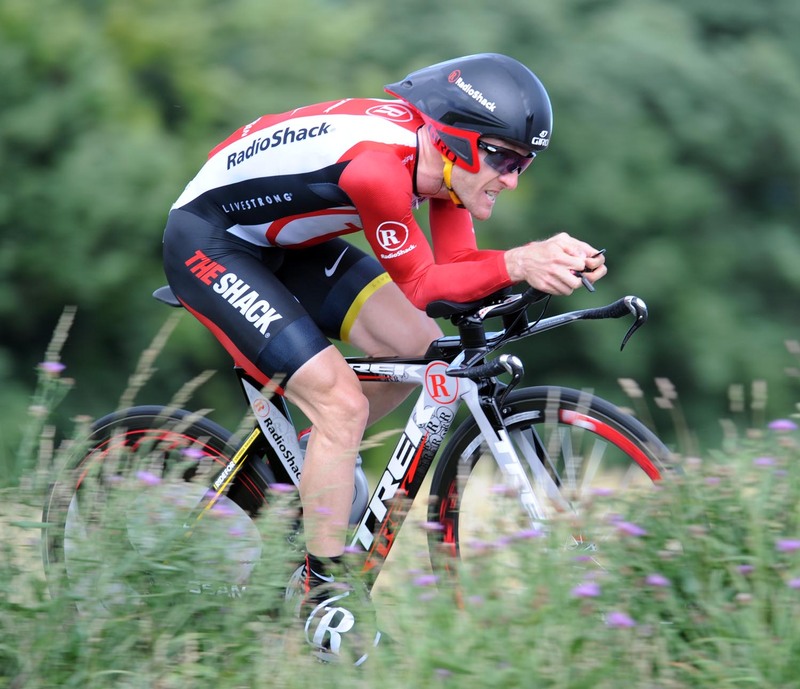 Andreas Kloden (Radioshack) finished the stage with the second fastest time, nine seconds adrift of the Swiss time trial specialist with team-mates Leipheimer in third at 13 seconds and Nelson Oliveira in fourth at 25 seconds. 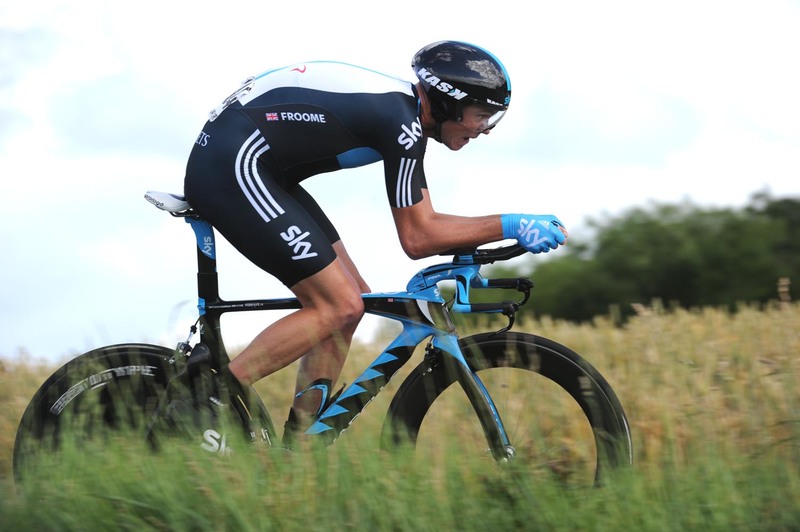 Britain’s Chris Froome (Sky) finished ninth on the stage, one minute and two seconds behind Cancellara and finished in 47th spot overall. Double stage winner Peter Sagan (Liquigas-Cannondale) won the points classification overall, with Andy Schleck coming away with the mountains jersey.